I have decided to watch God move through this venue by taking the first steps to hold a 5k run & family walk sometime this fall to raise money for the gift & the foundation. We are 1/2 way to funding a sleep sack per baby born at Liberty Hospital given in memory of Kyleigh to promote healthy sleeping habits. We are excited to see where this new opportunity takes us but the goal remains the same. Honor our daughter & glorify our God. Helping others care for their own children is one of the ways that we can do that. I’ll publish more details here as the idea develops but be assured, we are relentless in our pursuits & we’ll get there. We’re seeing firsthand that together, we can accomplish so much! Our family returned last night from a trip to Colorado. We spent six days enjoying the beauty of nature around us by hiking around Castle Rock, riding a train through the Royal Gorge, watching rock climbers at Garden of the Gods, driving up Pikes Peak, viewing elk in the Rocky Mountain National Park, skipping rocks in creeks, lakes, rivers and waterfalls. Our goal of this trip was to spend as much time outside as possible. I think we achieved our goal! Being in nature always makes us think of Kyleigh a little bit more. Being surrounded by God’s creation makes us feel just that much closer to her. I have had other people express this to me, as well. There is just something about climbing up a mountain and walking around a huge rock or hiking up a trail and discovering a waterfall, then hiking a little bit further to find the source of that waterfall that makes me feel more connected with God, my family and life. We truly had an amazing trip. I had a dream early this morning. The boys and I had gone swimming at the community pool and we went into the locker room to get changed. When we walked in, there were two other women and a handful of kids, all sitting at a table. Across from them was a clothes rack filled with fancy dresses. There were signs hanging up all around with the March of Dimes logo. One of the women started talking to me and was explaining a fundraiser they were doing for March of Dimes. The dresses were samples from a children’s consignment shop in a neighboring town. All you had to do was go to the shop, buy a fancy dress for a young girl and part of the proceeds went to March of Dimes. She stopped herself, mid-explanation and said, “But you don’t have to worry about it because you don’t have a girl.” I corrected her and said, “I do have a girl. She passed away at birth.” I went on to start talking about the March of Dimes and how we had just participated in our first March for Babies. She interrupted me with a loud gasp and turned the other way, not speaking to me again. I gathered my things and the boys and I walked out of the locker room. It was at this point that the sounds of Rodger getting ready for work woke me up. This was a very real dream. No aliens, flying pigs or anything else weird. This was a real life scenario, one that plays over and over in my head. As I have explored the online baby loss community through blogs, Facebook groups and alike, one of the most popular questions asked is, “How do you respond when someone asks, How many children do you have?” It is a topic that comes up frequently and the answers vary from A to Z every time. I wrote about an experience that I had with a similar situation, here. A blog I follow, Butterfly Dreams, posted about this same topic just recently, Low Blows. The question of, “How many children do you have?” has been asked very few times of me since Kyleigh’s death. I avoid exposing myself to situations where I would be asked the question because I just don’t know what to say. Shortly after the first of the year, I was invited to a play date. I was under the impression that there were only going to be 3-4 women and their 1.2 children there. By the time we left, there were probably 8-10 women and a ton of kids. I only knew one other mom. Anybody who knows me well knows this is a situation that I would typically avoid and one that makes me most uncomfortable. At one point, most of the moms were in the kitchen and as I walked through I overheard the conversation of “how many kids do you have?”, “are you going to have any more?” … and that was just the beginning. I picked up the pace and walked right on through. I was not about to get stuck in that tornado! It’s not always possible to avoid these types of conversations, but if they involve people I don’t know, you can bet I’m going to do my best. The scenario of being asked “How many children do you have?” plays over and over in my head. Do you notice the discrepancy in all of my answers? I can be partially truthful and answer with, “two boys.” That is true. But then I deal with the guilt of not including Kyleigh. I can say, “two boys and a girl in heaven.” That is true. 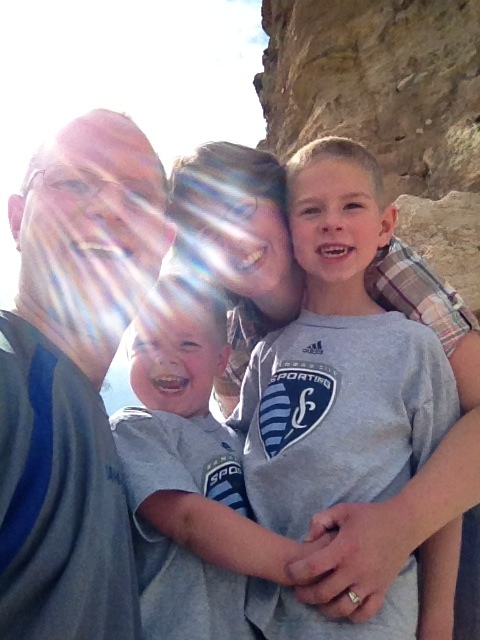 But then I leave out our two miscarriages, which is a whole other blog post in itself. I can include all five of my children, but then people get really uncomfortable. I like my last answer, as it is truthful and also provides a little comic relief to an uncomfortable situation. This same friend that invited me to the play date has also experienced the death of a baby through stillbirth. I have heard her answer the question of, “How many children do you have?” a few times. One time was in response to a child’s grandpa at preschool, the other time was at the play date. Both times, she answered honestly and gracefully. She has a way of including all of her children without making people feel uncomfortable or even in a way that demands a response back from the person asking. I have figured out that it’s not the words that she speaks, but the way that she says it, with confidence. She is not worried about what the other person is going to think or say. She doesn’t get caught up in how she says her answer or wonders if she is answering appropriately. She just says it. What do you feel is an appropriate answer? Do you or would you get uncomfortable with a person’s answer that includes their deceased child? If you are a bereaved parent, how do you respond? Even though the question of, “How many children do you have?” has not come up a lot with me, I know it will. 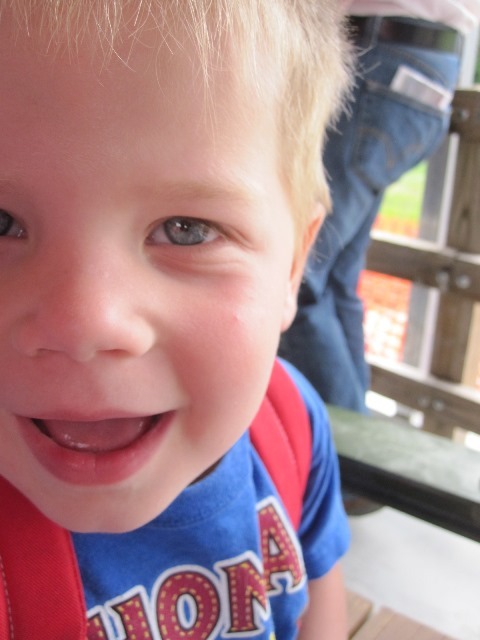 My oldest son is getting ready to start Kindergarten. I will be meeting new teachers and new parents. For me, including Kyleigh is the only option. She is a part of our family. I have to let go of what other people think and answer in a way that brings me peace. 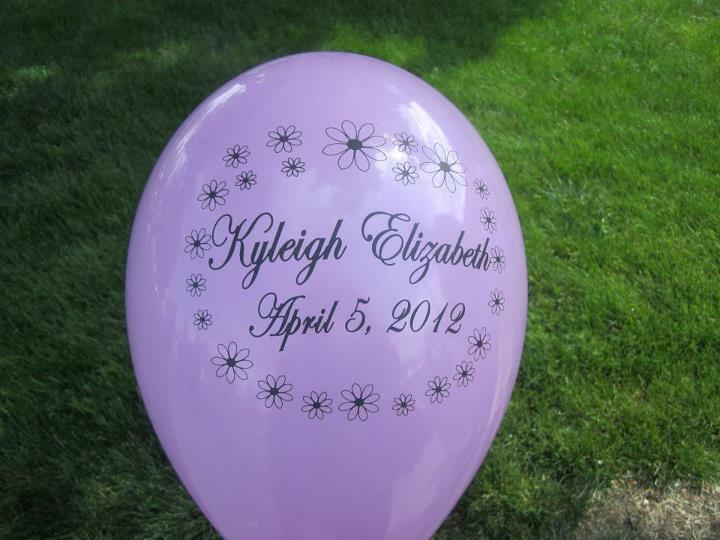 If you didn’t see the announcement in my last post, we have obtained the web address, http://kyleighsgift.com for our blog. WordPress will redirect you if you continue to use the blog address, but why not get in the habit of typing in kyleighsgift?! Take a minute to look around, as we have added a few new pages … Kyleigh’s Gift Fund and March for Babies. The blog can also be accessed from a link on the homepage. Tell me what you think and check back often for other updates or new additions to Kyleigh’s webpage! Speaking of the Kyleigh’s Gift Fund, we have teamed up with a consultant from Thirty-One to offer a fundraiser for The Liberty Hospital Foundation – Kyleigh’s Gift! Instead of retyping everything here, go to the Kyleigh’s Gift Fund page to read about our first project through Kyleigh’s Gift and how you can help by purchasing a Thirty-One Large Utility Tote! Kyleigh’s Gift can now be found at http://kyleighsgift.com! Don’t worry though, WordPress will redirect you if you continue to use the blog address. Most of the content has stayed the same, but take a minute to check out some of the new features! As the month of April approached, I was often asked the question if I was ready for Kyleigh’s birthday. My response was always the same … I’m not sure if there is any way to be ready. I also expressed to some that I had a feeling I would handle her birthday okay. It would be sometime after the fact that it would hit me like a ton of bricks. Well, I think the bricks have started to fall. This week has been a hard one. A lot of ups and downs. At one point, I told Rodger I just felt defeated. It hasn’t been one big thing, just a lot of little things put together. I would get excited about opportunities and then they would fall through. The boys play great together one minute and are fighting the next. The boys even had a few physical fights this week, which is a new one at this house. Needless to say, I doubt that will happen again anytime soon. A lot of emotions are also creeping in due to the joy others are experiencing. This is not to say that I am not joyous for them, as well, but some days it’s just so hard to accept the fact that life goes on for everyone. Even us. The boys have been done with preschool for a month now and I’m already experiencing the summer blahs. I miss our school routine and can’t seem to get into a new groove for summer. Sleeping until 8 a.m. is so much easier when they don’t have to be at school at 9:00. We have a few things we plan for each week, such as story time, but most days we fly by the seat of our pants. I had great aspirations. At one point, I made a list of themes for each week of the summer, full of places to go, movies to watch and books to read. It all sounded great on paper, but putting it into action is a whole other story. I found all kinds of fun kid activities on Pinterest that are just waiting to be done. I keep telling myself, “maybe next week we’ll start our summer routine.” If I don’t get with it, next week is going to be the first week of school. I do well when I have a routine, a schedule to keep and things to get done. When that goes away, I seem to fall apart in all aspects of my life. Tomorrow marks one year since my grandma passed away. I know that also has a lot to do with how my week has been. Within the past month, we have celebrated Mother’s Day, her birthday and Memorial Day all without her. I handled all of those days pretty well and I guess you could say it has just built up within me and is ready to come out. I miss my grandma so much. On a happier note, we took the boys to Day Out with Thomas today. 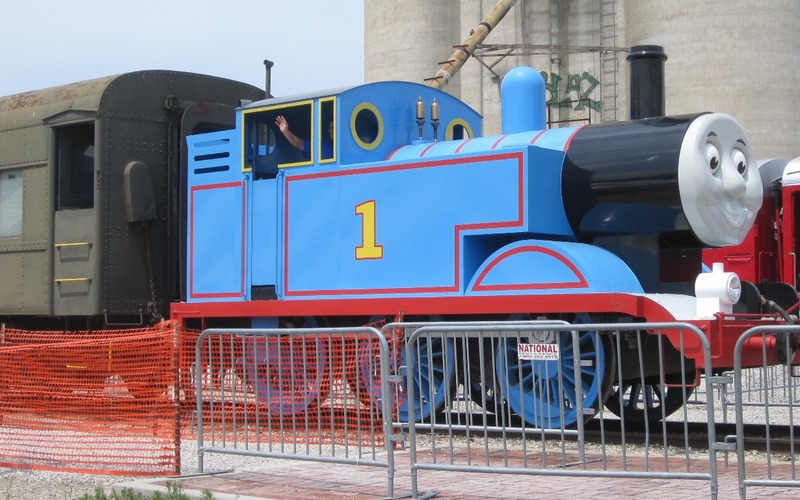 It is one of our summer family traditions and this year marked four years of going to ride Thomas the Train. The weather was beautiful and we got to sit in the open-air flatcar, which was so relaxing. 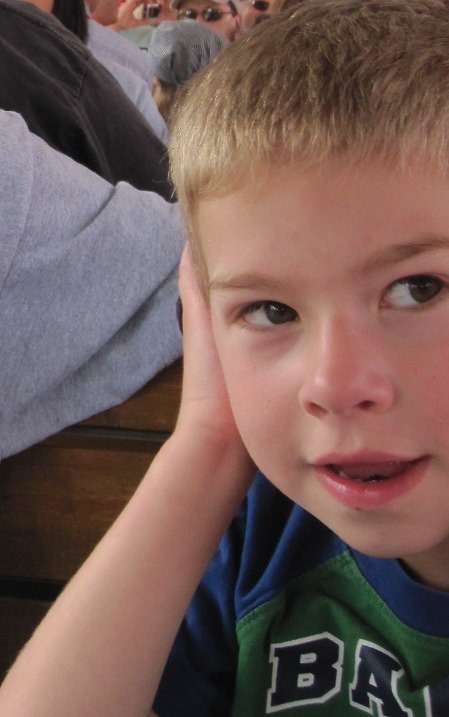 The boys had fun playing mini golf, petting the animals, playing trains and exploring a fire truck. I know our years of doing this fun activity are numbered, so I tried to soak up as many memories today as possible. Maybe summer isn’t going to be so bad after all.